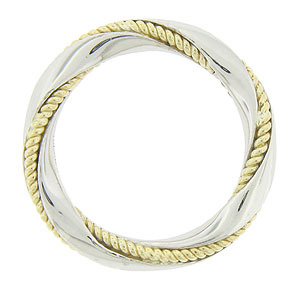 A twisting ribbon of sterling silver and 18K yellow gold fashioned into a golden rope wind around the circumference of this modern wedding band. 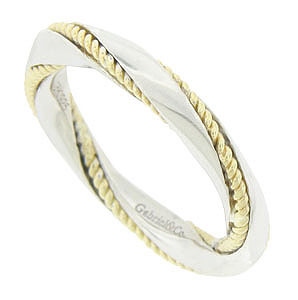 This distinctive wedding ring measures 3.23 mm in width. Size 7. We cannot re-size, but we can reorder in other sizes.